Back in February, I gloated a little about my son Zachary who was selected to represent his school at the Northwest Regional Science Expo in March. Today was that day. 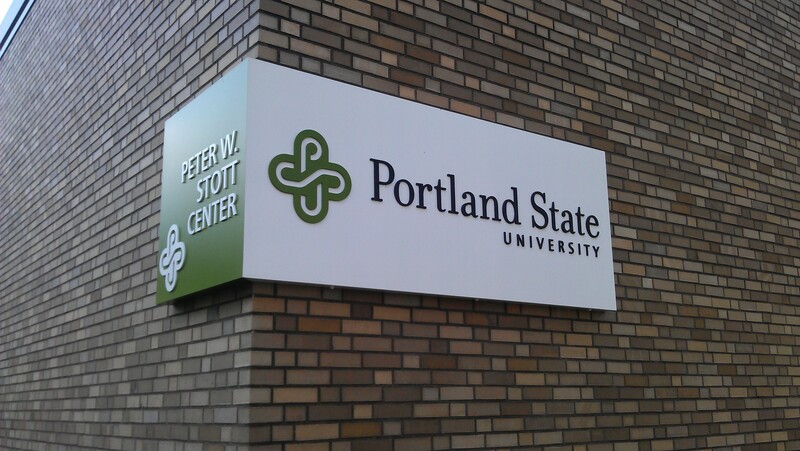 A day off school and a trip to a major university in downtown Portland was the reward for all of the competitors. But the road Zachary took to get there was a bumpy one. After getting an invitation to compete, he decided to completely redo his experiment. The goal was to take his first experiment with dye-sensitized solar cells farther, and isolate and analyze just the anthocyanin in the fruits. Over the course of the two weeks preceding the competition, he isolated specific concentrations of the chemical, built dozens of specially-coated solar cells, measured, tested, and analyzed. 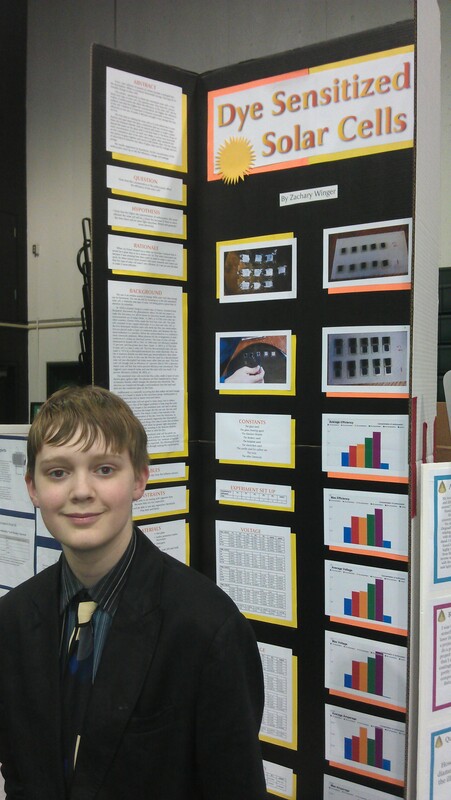 Zachary Winger - Science Fair Champ. First time wearing a tie. This week, as he finished his testing, he spent many late nights (2am?!) putting together his reports, tables, and speech. By the time Friday got here, he was a tired boy. An Invitation to apply and compete to be a Finalist in the Broadcom Masters National Competition in Washington D.C.
Persistence paid off for Zachary. And I’m once again a proud papa. Today’s gift of time – My only role was to loan one of my ties and go with my wife, spending part of an afternoon supporting my son and his classmates. They all were winners. This entry was posted in In the community and tagged dye sensitized solar cells, middle school science, Northwest Regional Science Fair, persistence, science, solar cells. Bookmark the permalink. Congratulations to Zachary on a job well done. And, congratulations to Zachary’s parents on their work in progress. Persistance pays! We are proud parents of a 2nd year med student. Last year, we had an exchange student from Albania. This year she is in Romania starting her studies. She too is studying medicine like your son or daughter. I know how hard it is for her right now, so I can empathize. But like you say, persistence pays, and all that hard work will pay off!